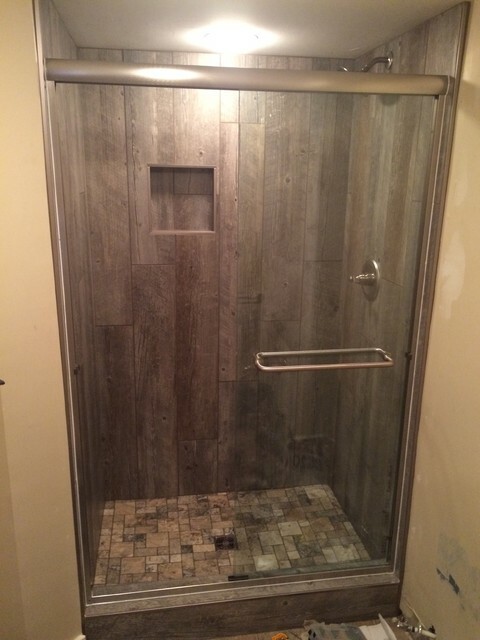 This was a fun shower to complete, and it’s easy to imagine it in a cabin in the woods. Can you see this in your bathroom? Click the photo to see the entire album. Lowe’s offers a variety of wood-look tile. See their options.